What is the ANZIS30 Register? The Australian and New Zealand Internet S30 Register (ANZIS30 Register) is an internet register for all 240Z and 260Z (and the odd 280Z, or Fairlady Z that has made its way down under) S30/S31 cars that are located in Australia or New Zealand. There are Registers for Z's in the USA, and in Europe, and we thought it would be a good idea to have a Register for Z cars in Australia and New Zealand. Our aims are to determine the number of Z cars left, and to gather information about how the build dates of the cars relate to their chassis and engine numbers. This information is available for US market cars, but has not been compiled for Australian and New Zealand market cars. We also intend to keep a register of S30 Z cars that have unfortunately passed away. Sometimes cars don't remain in the market they are sold in, so we have also included non Australian and New Zealand cars than now call Australia and New Zealand home. I know of a Japanese domestic market 1977 Fairlady Z here in Perth, and USA market 280Z in Victoria. Do I have to be a Member of the WA Z Register car club? No. 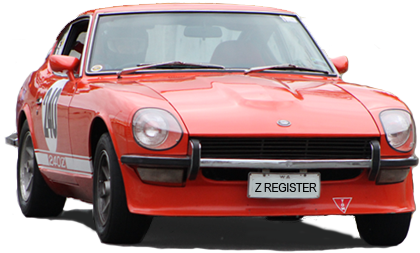 Like most other internet registers, the ANZIS30 Register is only hosted by the Datsun 240Z & 260Z Register of WA. Registering your cars details is free. Registering your cars details doesnt make you a Member of the Datsun 240Z & 260Z Register of WA.